Amsterdam, Cape Town, Oakbrook March 8th 2013 – The first edition of ‘SafeCare Standards’ for clinics and health centres in resource-restricted settings has been accredited by the prestigious International Society for Quality in Health Care (ISQua) known as the ‘accreditor of accreditors.’ SafeCare offers a unique set of standards that are realistic for resource-restricted settings while not compromising on quality levels. This has now been acknowledged by this official accreditation of the standards. 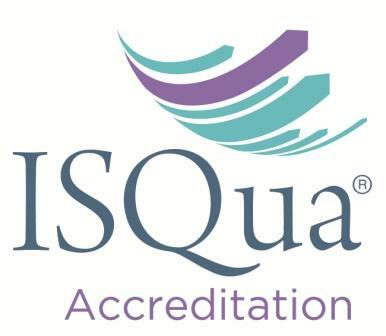 ISQua’s International Accreditation Program provides worldwide recognition for accredited organizations that meet approved international standards. The accreditation of SafeCare’s standards provides assurance to ministries of health, donors, funders, clients and health facilities that the organizations using SafeCare’s standards meet the highest international requirements and are focused on continuous improvement. To date the standards have already helped about 300 clinics in five sub-Saharan countries to improve the safety and quality of care provided to an estimated 500,000 patients per month. The accreditation by ISQua marks a watershed moment in the progress of the establishment of SafeCare – a formal collaboration of three organizations,Joint Commission International (JCI) based in the U.S.A., PharmAccess Foundation of the Netherlands and the Council for Health Service Accreditation of Southern Africa (COHSASA), to address issues of poor and limited health care delivered in developing countries. SafeCare standards focus on ‘bottom of the pyramid’ public and private healthcare facilities such as dispensaries and health centers that make up the main healthcare distribution channel for low-income settings. These type of facilities struggle with patient safety and quality demands. The SafeCare standards are structured to offer a stepwise improvement path. The achieved improvement steps are rewarded through formal certification which could eventually lead to full accreditation. Thus, an improvement path is created that offers positive incentives for healthcare providers to enhance quality. This clear pathway boosts client, investor and regulator confidence in capacity of healthcare providers to steadily enhance their performance. The methodology is supported by innovative real-time data collection tools allowing it to be applied on a large-scale. In this first edition of the SafeCare standards there are 824 criteria in 13 areas of service delivery including: management and leadership; human resource management; patient rights and access; risk management; primary healthcare services; laboratory service, medication management; and support services. Since its inception in 2011, SafeCare has rapidly developed from serving clients of the Health Insurance Fund and Medical Credit Fund, two organizations founded by PharmAccess, and for which it was originally developed, to nearly 300 clinics and hospitals in Nigeria, Kenya, Tanzania, Ghana and Namibia, supporting social franchises and clinics of the police and armed forces. Agreements are being drafted with the Tanzanian, Kenyan and Nigerian governments to apply the SafeCare standards and external evaluation methods to their national healthcare system and insurance schemes. Multinational corporations such as Shell and Heineken have also signed up to SafeCare. SafeCare receives backing from the Dutch Ministry of Foreign Affairs, USAID, and the African Health Market for Equity (AHME) program. To learn more about SafeCare or to download the standards please visit:www.safe-care.org.